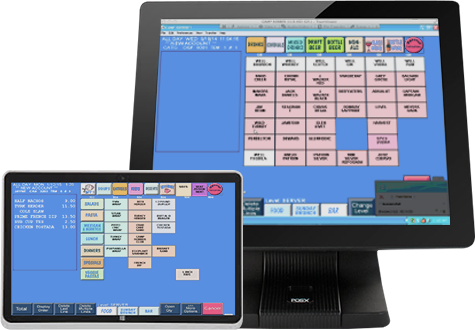 Dineamics POS is 100% fully integrated from the front-of-the-house to the back-of-the-house. Our restaurant POS system can maximize your profits. 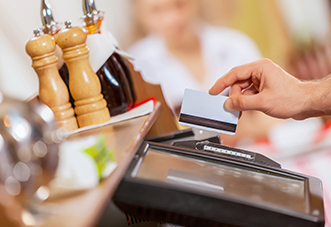 Dineamics includes complete credit card processing utilizing the latest PCI compliant standards and equipment. Remember, the liability of bad cards now falls on the merchant. Stay safe, secure and worry-free. No information is stored on local computers. Call 24x7 for a personalized on-the-spot quote tailored to fit your exact needs. Account for every drop of Liquor, Beer, Wine, Food & Beverage and track it down to the shift, station and bartender! Dinner Theatres, Schools & Universities, Corporate Campus, Sports Arenas, The US Army, Retirement Homes, and more - we’ve helped them all! Established 1986. We were born from the restaurant world having successfully owned and operated restaurants, nite clubs, banquet, catering & event facilities, we are a POS System created by Restaurant People for Restaurant People. Clients love that we have been on both sides of the business and understand what really happens in the day-to-day operations of the Restaurant World. Dineamics POS provides the timely, valuable information and tools required to be Profitable in the Restaurant Business. We are more than happy to answer any questions regarding our restaurant POS system and services.